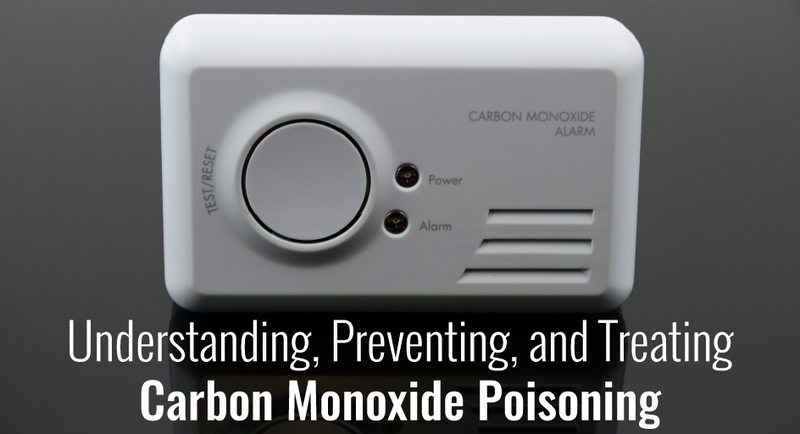 Understanding, Preventing, and Treating Carbon Monoxide Poisoning - Shannon Insurance Agency, Inc. The odorless poison, carbon monoxide, is a preventable but deadly gas that results in more than 400 deaths each year. Although most families are aware of the dangers of carbon monoxide, they may not be aware of what needs to be done to prevent carbon monoxide (CO) from building up in their households. Thankfully, we’ve got you covered with a compiled list of what you need to look out for and avoid so you and your family are not harmed by the deadly gas. That way you are your family can continue making lasting memories in your home. CO is a natural gas, but is also produced through many different appliances found in most households. If you or a family member starts to feel flu-like symptoms, it could be CO poisoning. If so, make sure to evacuate the house immediately and alert the authorities of the gas buildup. Where Do CO Buildups Come From? Various gas appliances like furnaces, fireplaces, oil heaters, and any engine powered by gasoline can cause a buildup of carbon monoxide in your home. This is also true of generators. During power outages or any time a generator is necessary, let it run outside. If being used inside, be sure that it is within 20 feet of a window or door so that the CO can disperse. This is a great rule of thumb when running any sort of equipment that could result in a CO leak. If you suspect you need to, open a window and ventilate your house to allow the CO to circulate. With all of this being said, there are symptoms of carbon monoxide poisoning once your CO levels are higher than 10% in the bloodstream. These symptoms, often compared to symptoms of the flu, include headache, dizziness, fatigue, nausea, vomiting, chest pain, and confusion. Because these symptoms are so similar to the flu, be aware of other members of the family having these same symptoms showing up around the same time. Also, take notice of your pets acting strange. Although animals can get sick, animals do not get the human flu, so if you notice your dog is exhibiting flu-like symptoms, these could be due to carbon monoxide poisoning. By taking notice of these warning signs, it could save the lives of the entire family — pets included! Fortunately, CO poisoning does not become fatal until the CO levels in the blood reach 20%, so there should be noticeable symptoms before that becomes a reality. So, what should you do if you think you or a family member is experiencing carbon monoxide poisoning? That answer is pretty simple; leave the house. The first thing you should do if you feel you have symptoms of CO poisoning is alert someone else in the house and evacuate immediately. Although not quite as time sensitive as a house fire (in the sense that you need to make a break for the nearest exit) you should get everyone out of the house immediately. Next, call the police and alert the fire department, as carbon monoxide incidents need to be reported. If anyone feels their symptoms require medical attention, do so immediately. Carbon monoxide results in more than 20,000 emergency room visits, and around 4,000 hospitalizations per year. CO poisoning should be taken seriously, even if there are no visible symptoms, because around 400 deaths occur each year due to it. Carbon monoxide buildup isn’t limited to just your home either, they can also happen inside your vehicle. As with most other engines, simple maintenance checkups are the best way to prevent CO buildup within your car. Your vehicle’s exhaust system should be checked yearly, as small leaks can result in a buildup of CO. Also, just like with generators or any other gas powered engine, you should never run your vehicle inside a closed garage, whether attached to your house or not. It’s important to keep your garage door open whenever a vehicle is running. It can be tempting to start your car a few minutes early to let the engine warm up. However, the rule still applies in this case, and you should not let the car run inside a closed garage because vehicles create an enormous amount of carbon monoxide. Now that you’re aware of what can cause carbon monoxide buildup, and what the symptoms are, how can you prevent it from happening altogether? Be sure to have all of the previously listed appliances serviced by a qualified contractor once a year or so to ensure that there are no malfunctions that could cause a CO buildup. This should be done at the start of the colder months, when you will most likely be using appliances to keep your house warm. Another simple and preventative measure to take when dealing with CO buildup is simply opening a window. Ventilating your house is a surefire way to disperse poisonous carbon monoxide and keep your family safe. Have CO detectors installed near any areas that may be susceptible to carbon monoxide buildup, as well as in common sleeping areas. Detectors are another preventative step to take in avoiding CO poisoning, and are not reliable by themselves. Make sure you’re taking other steps to prevent carbon monoxide leaks as well! What is most important here is making sure you and your family are safe and covered in case of all emergencies. Anytime a loved one requires medical care, it could be costly. Make sure your family has the right coverage in place so that you can focus on what’s important during life events such as this one. Having financial stability during periods of high emotional stress is just another thing you don’t have to worry about. Give our office a call so that we can make sure your family is covered properly. We have plenty of options for all households and would love to show you how we can best protect you. Our agents specialize in risk management, and can help your family find coverage that’s right for you. By taking advantage of this, you can rest easy knowing that we are taking care of everything on our end, so you don’t have to.